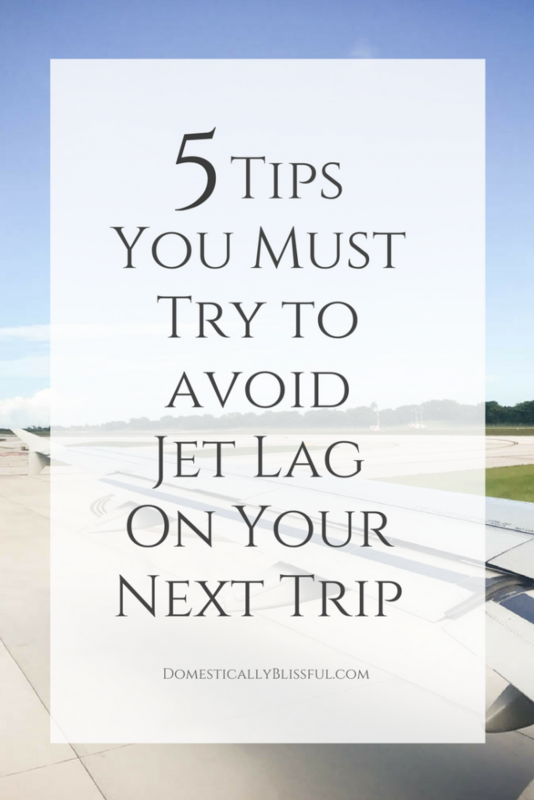 5 tips you must try to help you avoid jet lag on your next trip. 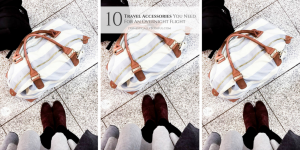 These tips will help make your journey & destination even more enjoyable! Jet lag is the worst! I just got off the phone with my mother, who had picked up my sister from the airport after taking the red eye & she was exhausted. 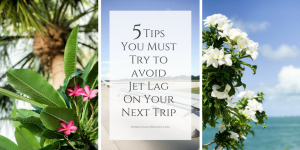 And whether for your sake or the sake of your travel partners avoiding jet lag is an extremely important part of traveling. My first real experience with jet lag happened two years ago on our trip to Maui. This was the first time I had been to Maui & I had never traveled so long on a plane. I remember landing in Maui & being in a daze, as well as being completely confused about what time it was there versed at home. I would share a little story about just how dazed & tired I was, but it might be a little TMI. Then that killer red-eye trip home was insane. I was sitting on an aisle seat, next to my father-in-law & it was all I could do to keep sitting up straight & not let my head fall on him. If it had I’m sure I would have started drooling or snoring from exhaustion. How embarrassing would that have been?? So for our next trip to Maui, we planned ahead using the tips below & our experience was night & day different. We landed in Maui nowhere near as exhausted as our previous flight to Maui. On the way home, we cheated & had a day & half layover in California. We visited Roger’s brother & sister-in-law & that really helped break up the long flight home. But this was all leading up to our overnight flight to Europe. We left around 7 pm from Atlanta & landed in Paris at 5:30 am. And while we tried to make tip 5 work, we barely got any sleep. Even still, after we landed in Paris we went straight to our hotel, showered & changed, & then headed out to explore Paris for the first time. Somehow those other tips listed below helped compensate for our lack of sleep & we were able to make it all day without taking a nap, which would have turned into sleeping through the rest of the day. 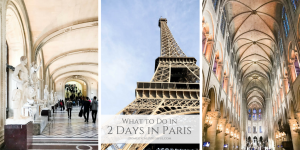 We headed back to our hotel earlier than most of the other nights around 8 or 9 pm, but by using the tips below we were able to spend the whole day in Paris, even while having not slept for about 48 hours. I should also note that I had been sick the week before so I had taken a cold & flu antihistamine (which usually makes me drowsy for a good 24 hours) & I was still able to function! We are now planning our next trip to Maui & have decided to spend an extra day in Maui, rather than having a layover in Cali, which means taking another red eye flight. And along with using the tips below, I am determined to learn how to sleep on a plane! Because teaching myself to sleep upright is better than paying an arm & a leg to fly first class! Now, I’m no medical expert, however, these are the exact things that I have been doing on our long flights to avoid jet lag. Increase your intake of water 24-48 hours before flying & continue to drink lots of water during & after your flight. Yes, that might mean getting up a few extra times while flying, but you will need to get up so that you can get your blood circulating anyways! 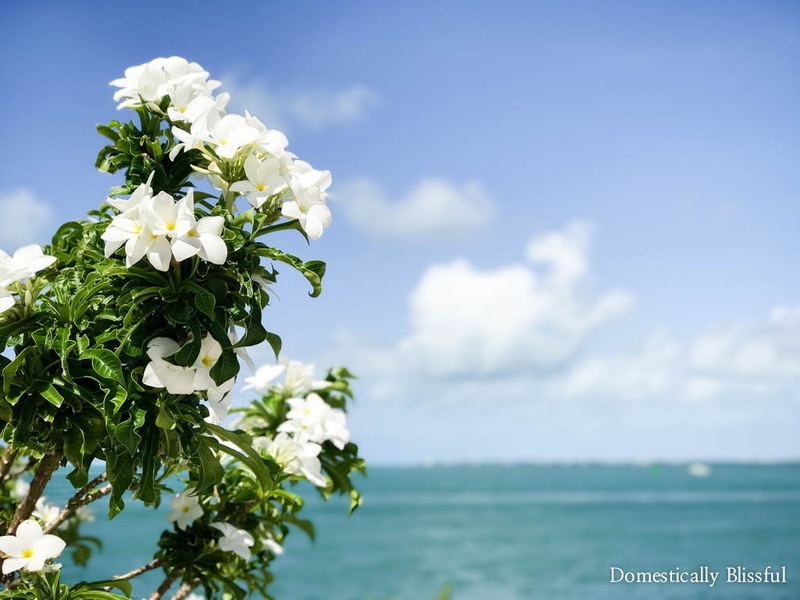 A few days before your trip start thinking about time in relation to the time zone you will be in. You don’t need to disrupt your life too much by doing this, but simply start tricking your mind into the new time zone. If your schedule doesn’t allow for any flexibility (such as when you eat & sleep) you could even just look at the clock occasionally & remind yourself what time it is in the other time zone & what you will be doing at the time. This will help your body be less shocked/confused by the sudden change. This is a tough one, especially when the flight attendant is constantly coming by to offer you a drink. To add some fun to avoiding such drinks I always ask for sparkling water with a lemon or lime. When flying west we prefer to leave in the morning, that way, when we land in Maui we won’t have lost a full day. For our upcoming trip, we will be leaving around 7 am from Atlanta & arriving in Maui around noon. With the above tips, we won’t be too tired & will have more time to enjoy Maui. 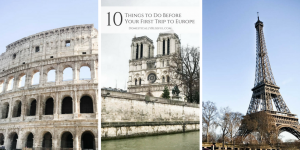 When flying east to Europe we prefer to leave later in the day so that we arrive the next day in the early morning & thus also have more time to explore. By doing it this way, our bodies are better able to adapt to the time difference. This also means we end up going to sleep a little bit earlier our first night (whether flying east or west). We then wake up earlier the next day & are able to enjoy more of a secluded paradise in the early morning & beat the sleeping crowds in Europe. As I mentioned above, this is a tough one for me, but preparation & practice helps! I recommend a window seat so you have something for your head to lean against. We have tried two types of travel pillows & while they worked ok, they didn’t do the trick as we had hoped. I am going to be reading a lot of Amazon reviews & looking at every possible travel pillow option available before our next trip. So if you have any suggestions, I am all ears! This goes along with tip #2. You want to try to adjust ahead of time to the new time zone, but you also don’t want to disrupt your life beforehand. There’s a fine line, but you can totally do it. 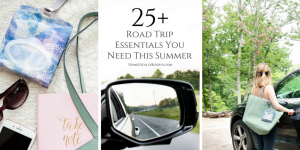 Once your trip begins, whether the first leg of the trip is driving or flying, start adjusting your time schedule to the new one by doing what you would normally do at the adjusted time zone, like eating or sleeping. 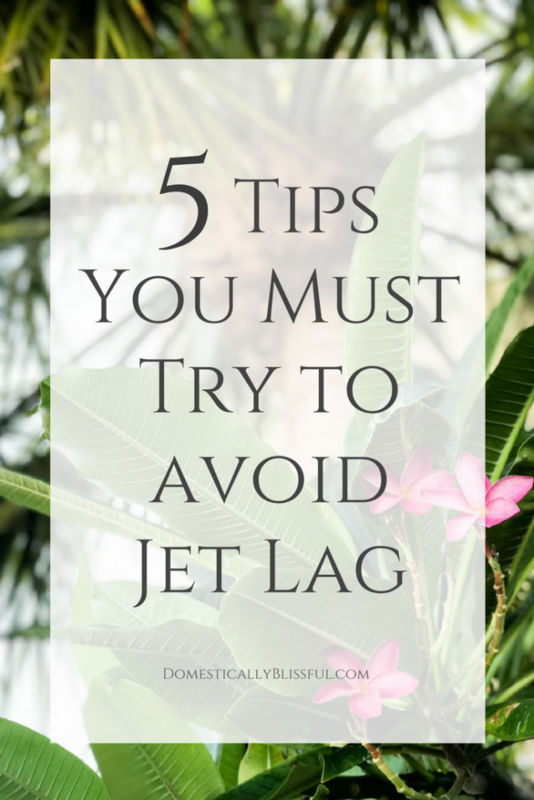 What are your secret tips for avoiding jet lag?